Prince, inset, was stolen along with a 2017 Ford Focus, March, 19, 2018. 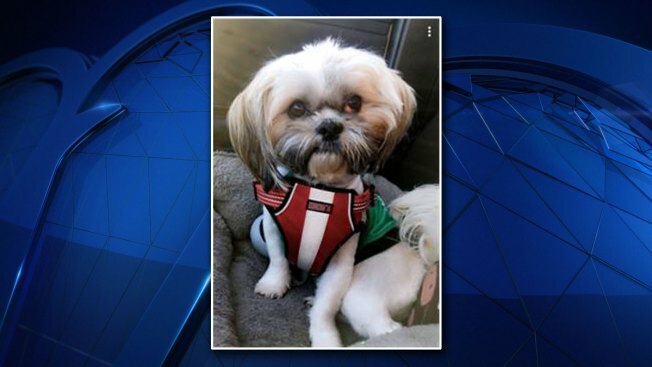 Plano police have located a dog after he was inside a car that was stolen Tuesday afternoon. Officials said the owner of the dog stopped at a store on the 3300 block of Central Expressway at about 2 p.m., leaving the dog inside the car with the car's engine running. When the woman exited the store, she said both the car and her 2-year-old Shih Tzu named "Prince" were gone. At about 5 p.m. Tuesday, Plano police tweeted that one of their detectives recovered Prince. He was found in a Dallas park and will soon be reunited with his owner. Police are still looking for the woman's rental car, a 2017 white Ford Focus sedan with California license plate 7XIF200. If you have any information as to the identity and/or location of these suspects, you are asked to call Crime Stoppers at 877-373-8477. Crime Stoppers tipsters may be eligible for a reward of up to $5,000 for information that leads to the arrest of a person with an active felony warrant or information that leads to a felony arrest and indictment. You can remain anonymous.